Modes of laser cladding of heat-resistant nickel alloy Inconel 625 are considered. The gas-powder flow is studied and optimized as a function of the flow rate of the protective and transporting gas. 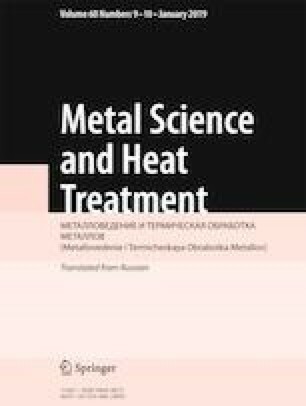 The effect of the heat treatment modes on the structure and phase composition of the alloy is analyzed. Amode producing compact samples of the alloy is worked out. Translated from Metallovedenie i Termicheskaya Obrabotka Metallov, No. 11, pp. 42 – 47, November, 2018.